Every Anthony Liftgate is precision crafted in the United States. We use high-strength steel construction, advanced anti-wear materials, waterproof switches, premium power packs and industry-leading corrosion resistance that put Anthony in a class all its own. 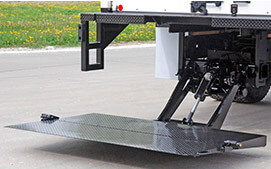 Selecting the proper hydraulic truck liftgate for your operation is crucial for peak performance and long service lift. Please don't hesitate to contact us with any questions. We'll be happy to help you find the right liftgate. For details on any model, check out the product page and download the brochure. Life on the back of a truck isn’t easy. 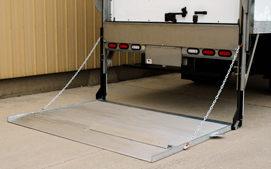 Whether it’s the pavement, the cargo, the dock or the weather, there’s always something trying to stop your truck from moving. 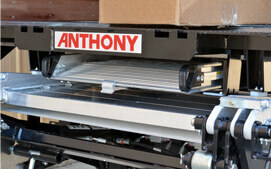 Every Anthony liftgate is built for work in the real world. 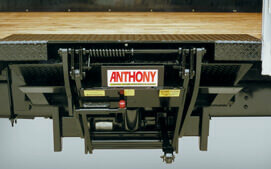 Liftgates should solve problems, not create them, so Anthony Liftgates use only top-quality components. Plus, each liftgate must pass a grueling cycle test before it is ready to wear the Anthony badge. Because Anthony gates are designed, built, sold, and supported from America’s heartland, there’s never a worry about ports, borders, or overseas customer support when your truck is down. 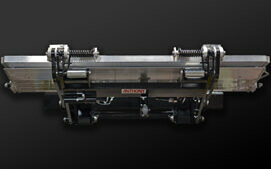 An Anthony gate means a commitment to customer support for the long haul, when you need it. AST-Plus combines the most popular features and a wide bed height range to be the single-model solution to most standard TuckUnder applications. TuckUnderTM with Gentle Level Ride for value-minded applications. 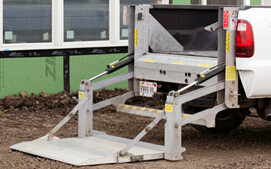 Large platform TuckUnderTM with twin cylinder drive is a perfect fit for a broad range of medium duty applications. Premium TuckUnder-style liftgate with Gentle Level Ride, twin cylinder drive, and up to 6000 lbs capacity. Premium TuckUnder-style liftgate with Gentle Level Ride and twin cylinder drive. 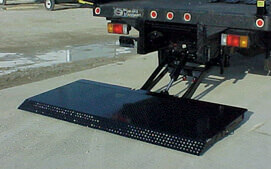 Designed to allow easy access to a walk ramp without moving the liftgate from the stowed position. Premium TuckUnder-style liftgate with Gentle Level Ride and twin cylinder drive. Provides extra reach. 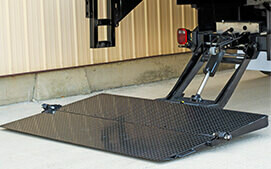 Ideal for thicker floors like those of refrigerated bodies and trailers. 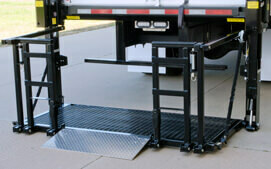 Spring assist open-close rail style liftgates with an extensive list of available configurations. 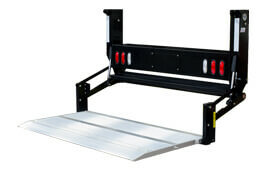 Power open-close rail style liftgates with an extensive list of available configurations. 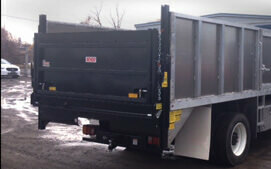 Rail style liftgate designed for high cycle applications. Available in PCR and AR version. 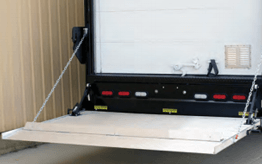 Rail style liftgate built to provide low-maintenance performance in heavy duty truck & trailer applications. 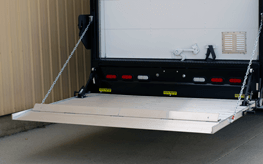 MRT liftgate plus a patent-pending, full size platform that can be loaded from three sides. PCR with special platform for gas bottle handling vehicles. 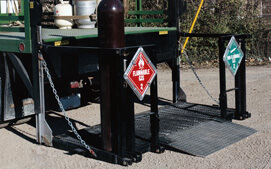 MRT with special platform for gas bottle handling vehicles. 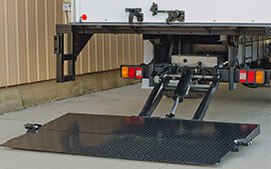 Commercial grade liftgate designed to fit most pickup and utility trucks. 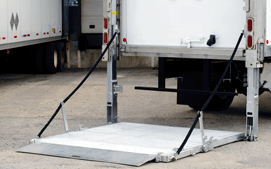 Commercial grade liftgate ideal for van, service, or utility bodies. Conventional-style liftgate which doubles as a tail gate when stowed. Ideal for stake bodies. 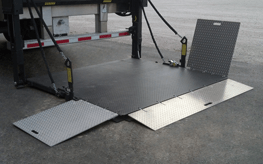 Medium-duty RailTracTM liftgate which allows material to be dumped through the platform. Ideal for landscape applications. 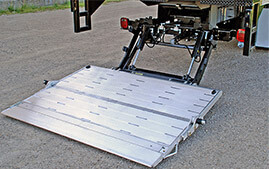 TuckUnderTM liftgate designed for use on the side of the vehicle.